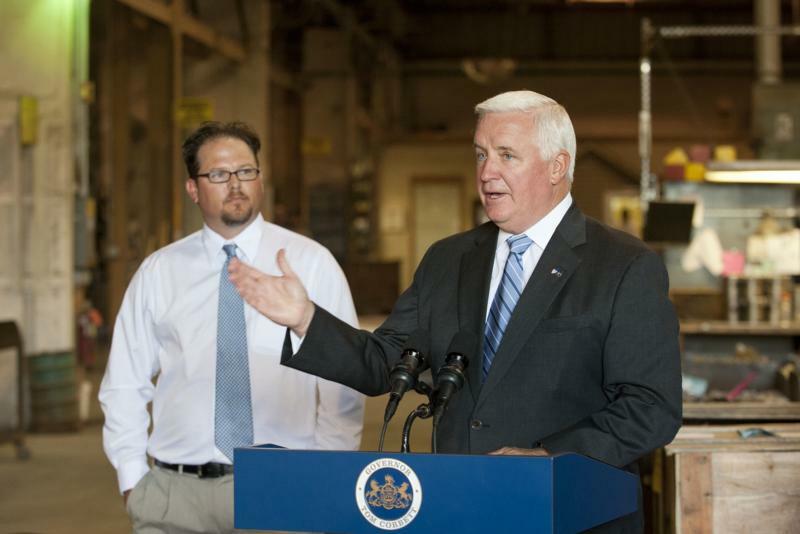 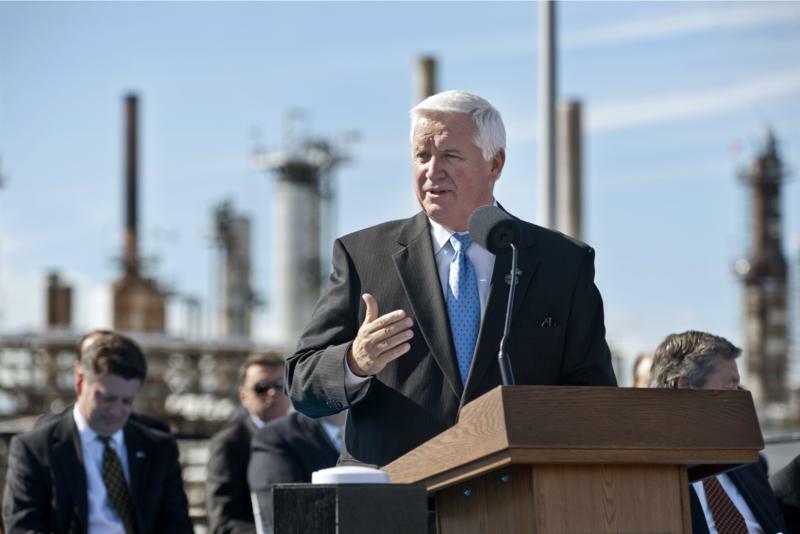 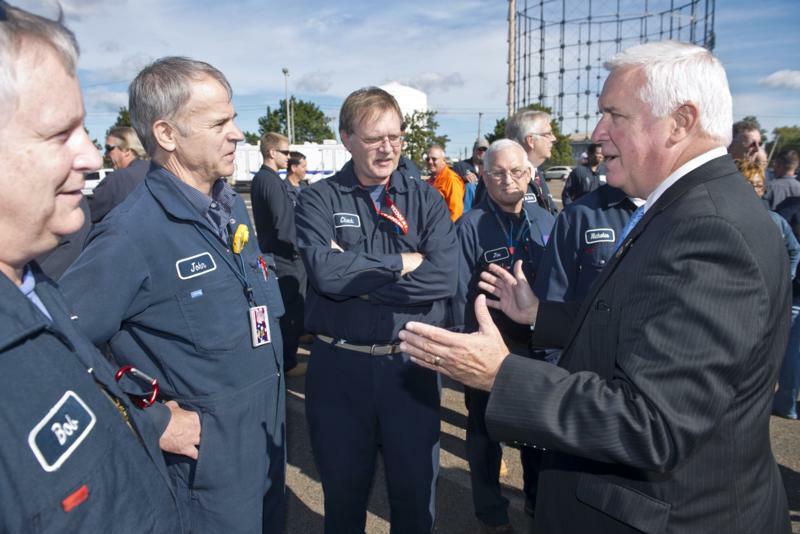 Governor Tom Corbett today joined representatives of government, labor and business to celebrate the hundreds of jobs saved by the joint venture of Sunoco and The Carlyle Group. 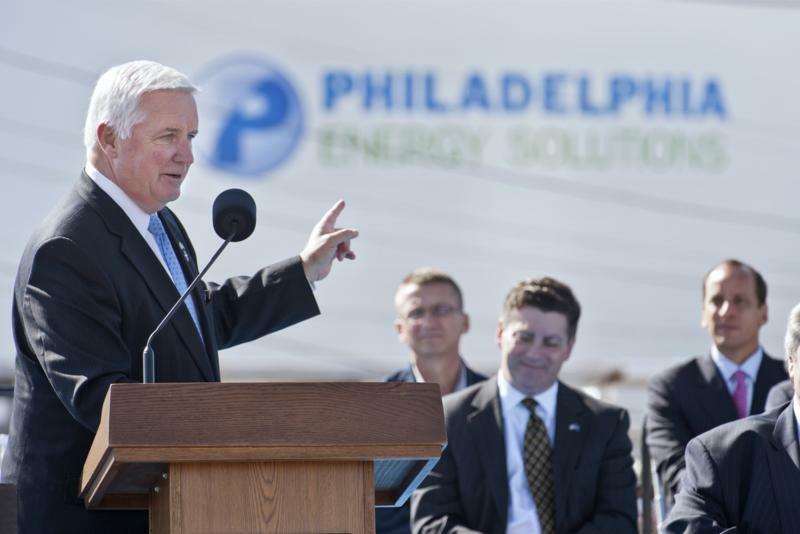 Sunoco and The Carlyle Group have finalized an agreement of sale to form Philadelphia Energy Solutions, a venture that will enable the Philadelphia refinery to continue operating. 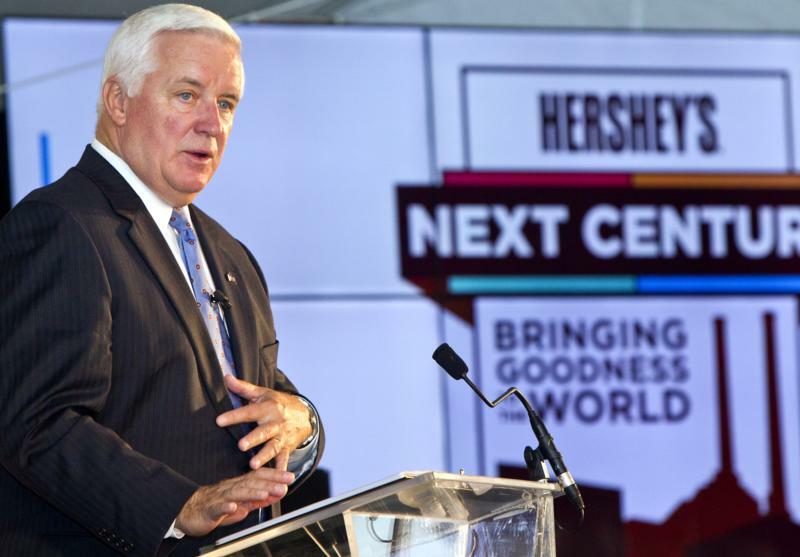 Governor Tom Corbett today discussed the importance of supporting private, job-creating businesses while speaking at the dedication ceremony for The Hershey Company's new West Hershey manufacturing facility. 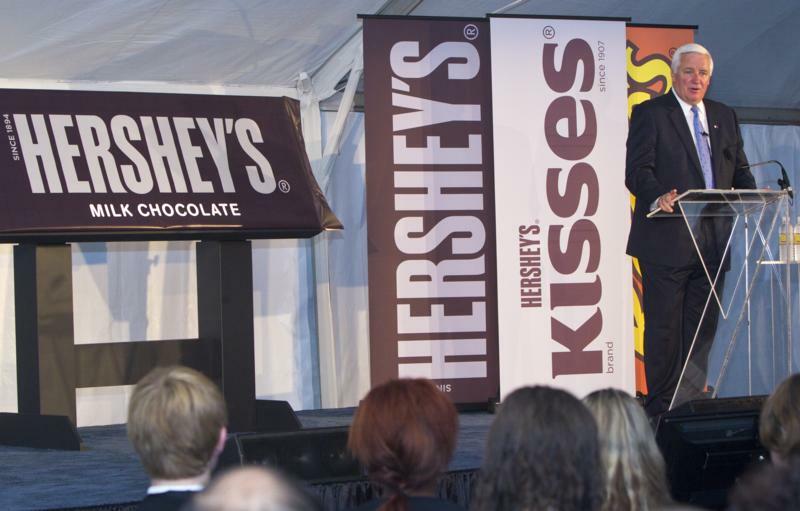 Hershey - Governor Tom Corbett today discussed the importance of supporting private, job-creating businesses while speaking at the dedication ceremony for The Hershey Company's new West Hershey manufacturing facility. 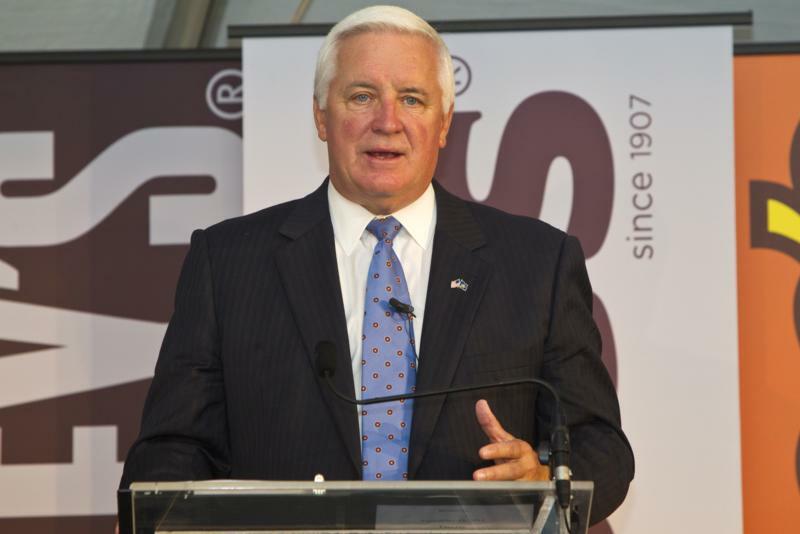 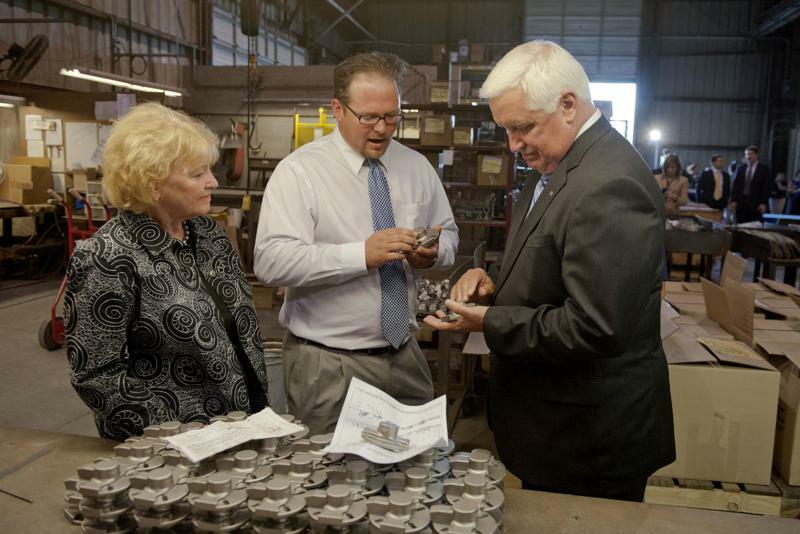 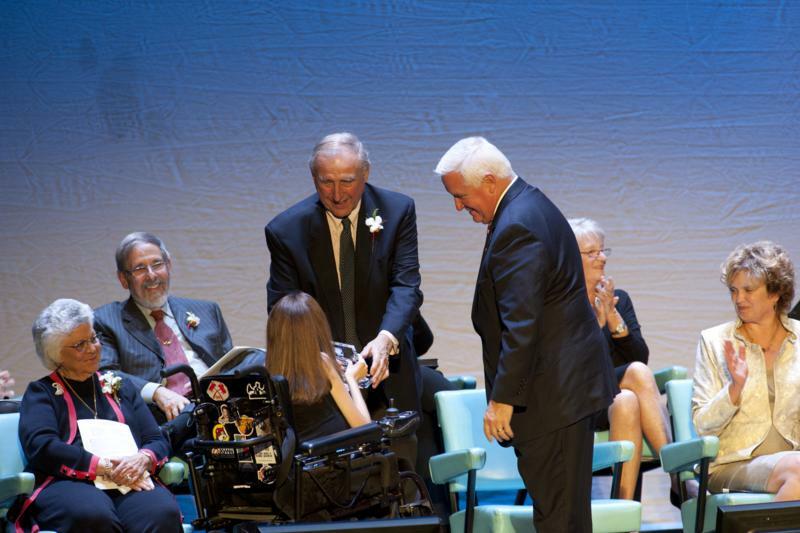 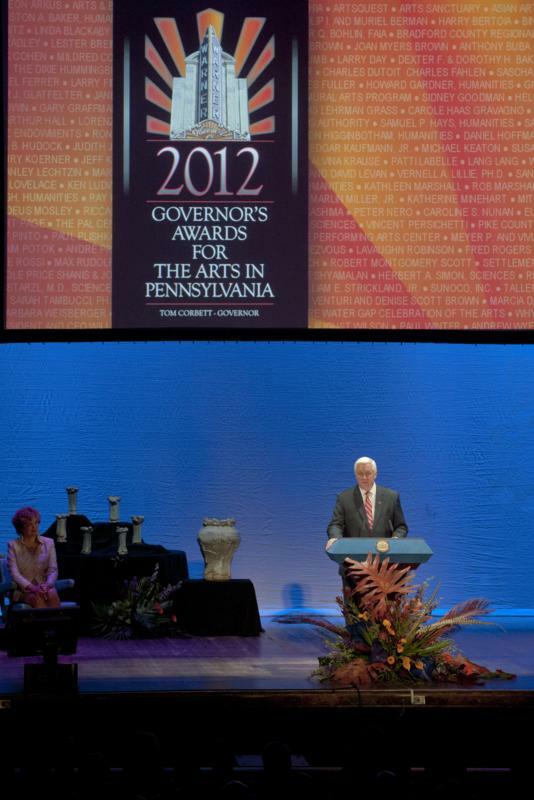 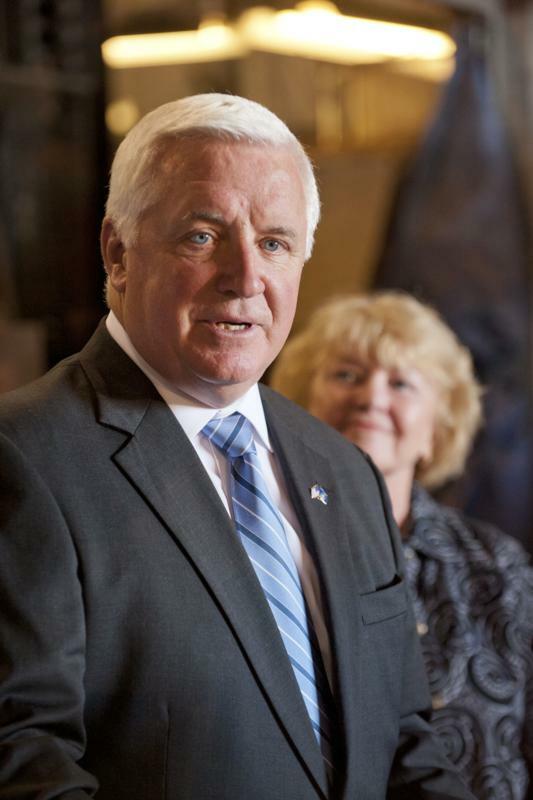 Corbett credited the West Hershey expansion to business and government working together in the best interest of Pennsylvanians. 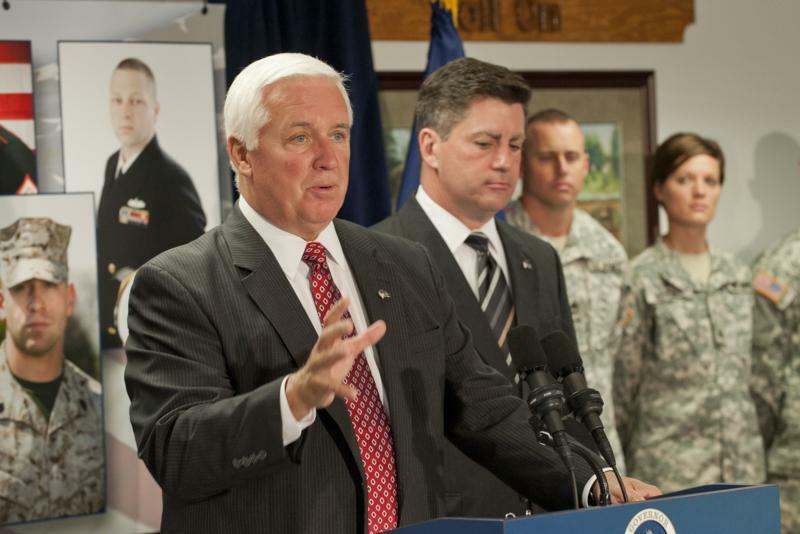 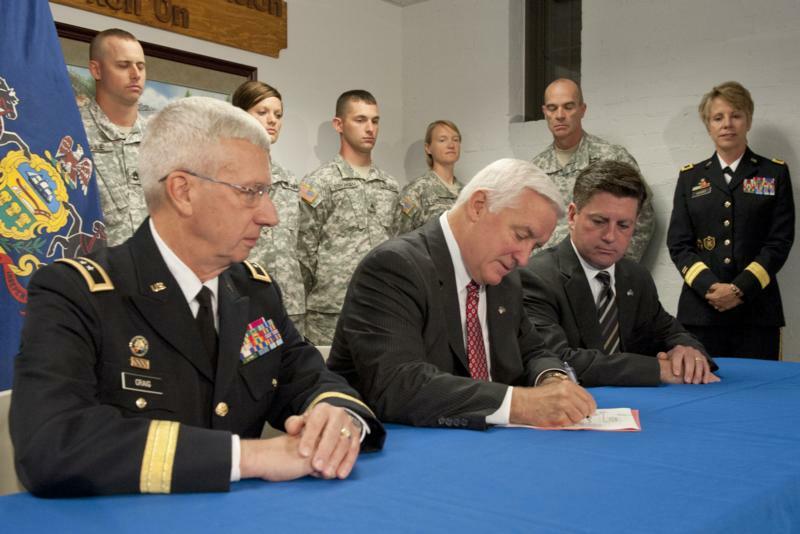 Governor Tom Corbett today signed an executive order to establish a commission to examine and advocate for Pennsylvania's military installations and the important role they play in our local economy and national security. 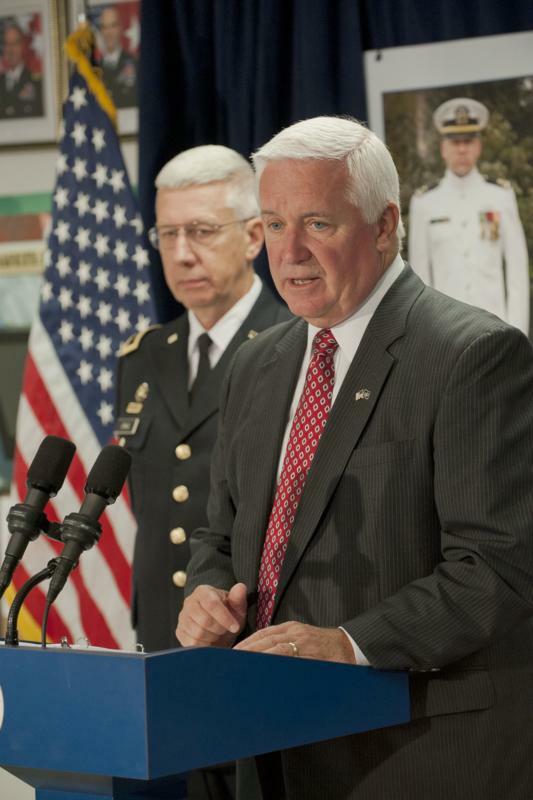 Harrisburg - Governor Tom Corbett today signed an executive order to establish a commission to examine and advocate for Pennsylvania's military installations and the important role they play in our local economy and national security. 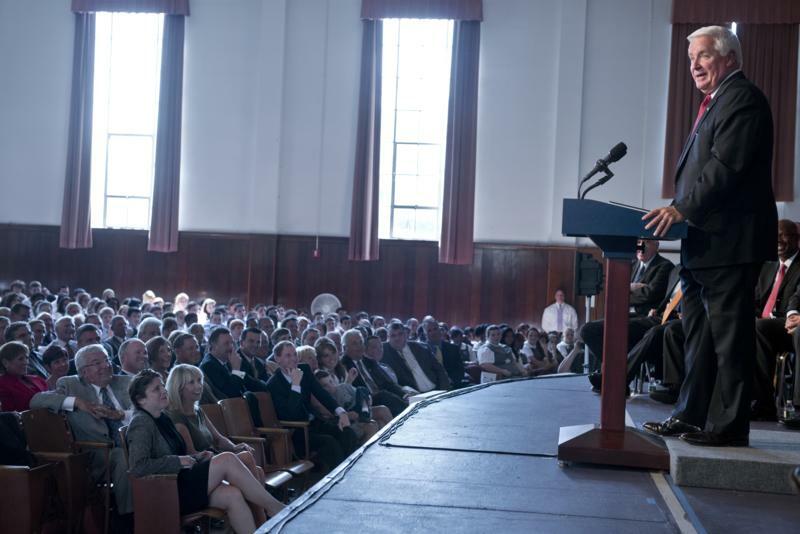 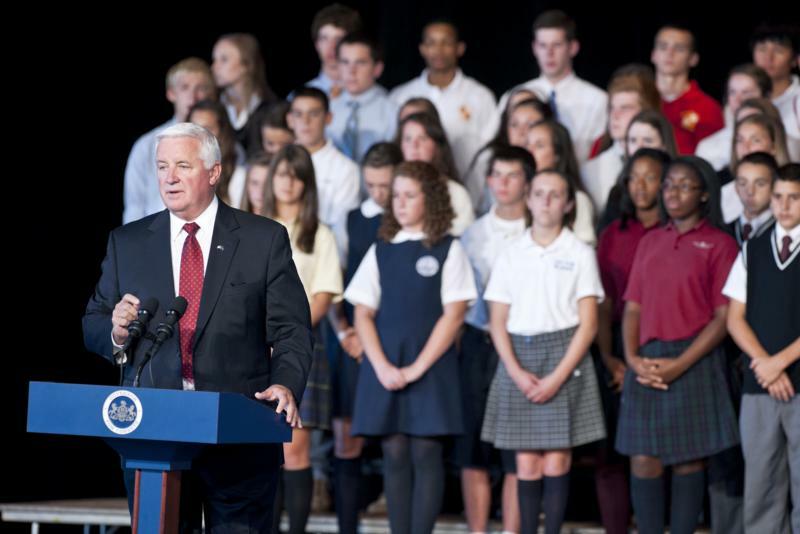 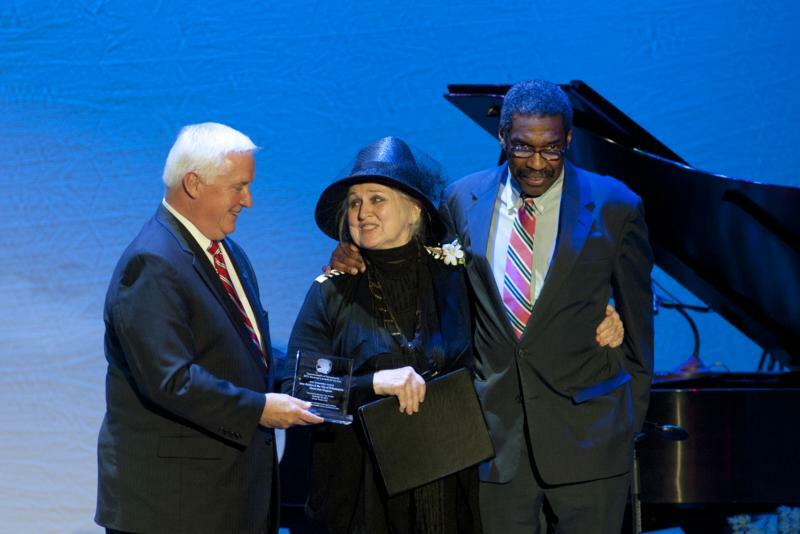 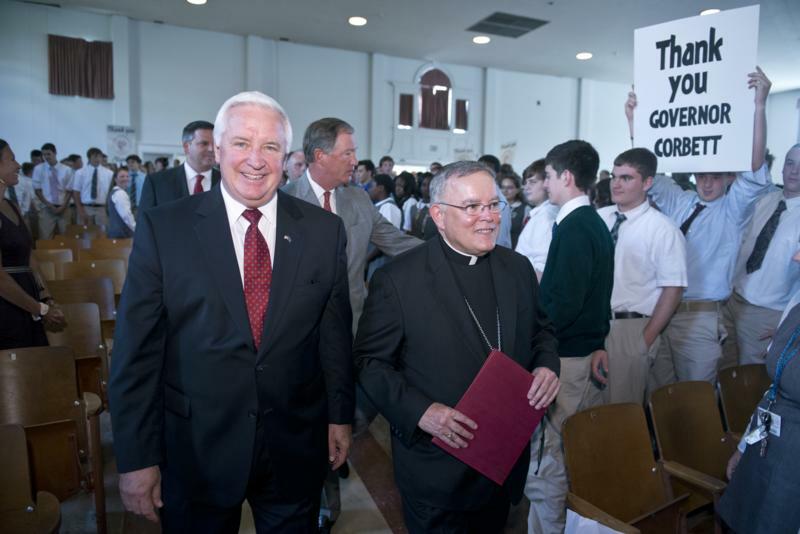 Governor Tom Corbett today joined state lawmakers, county officials and community religious leaders at an education rally at Monsignor Bonner and Archbishop Prendergast Catholic High School in Drexel Hill. 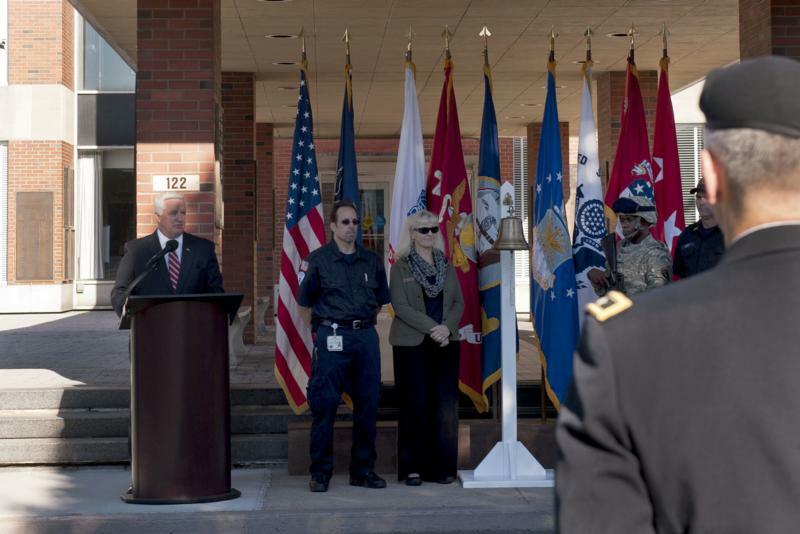 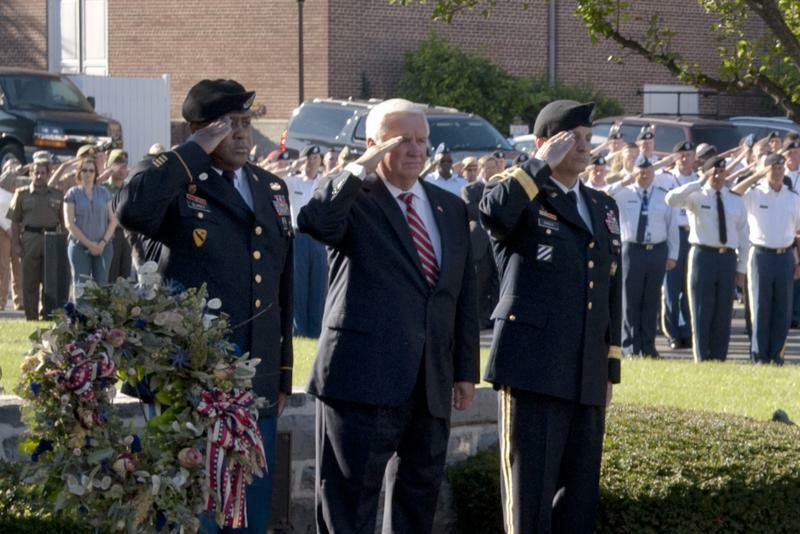 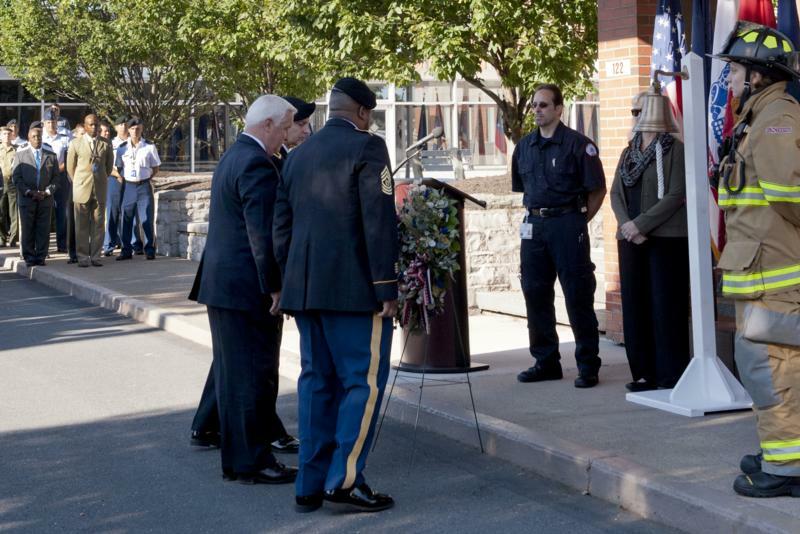 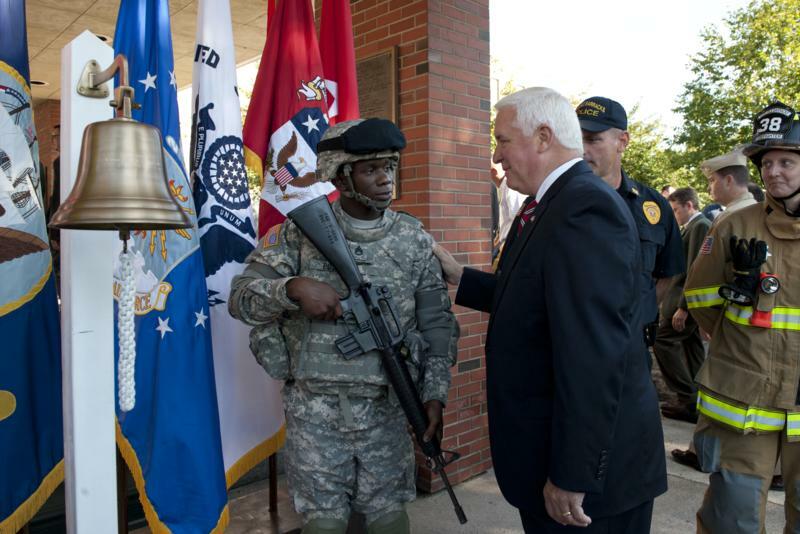 Governor Tom Corbett today joined officials at the U.S. Army War College in Cumberland County to remember those who died in the terrorist attacks on Sept. 11, 2001, as well as all those who have sacrificed their lives in war in the past 11 years. 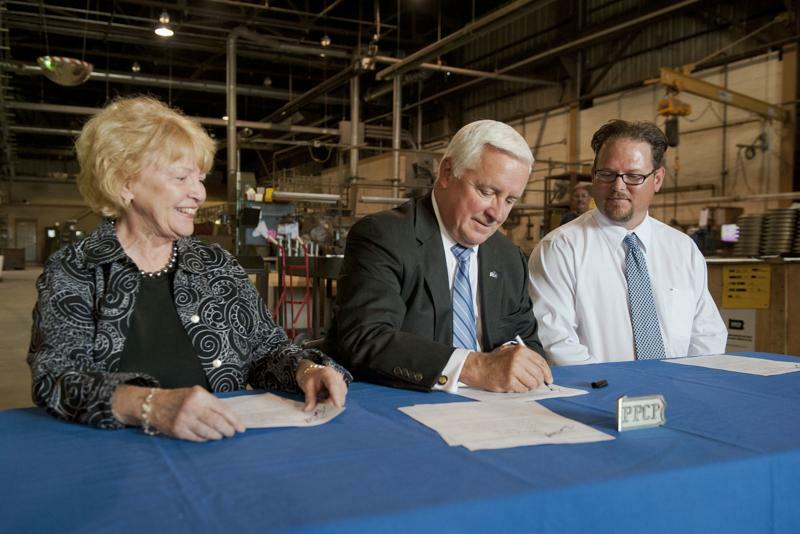 Governor Tom Corbett today ceremonially signed legislation that will protect small businesses from unnecessary red tape and costly mandates.